Today we are welcoming the Chinese New Year and that means it's a holiday today! Yey! I am really amazed how time flies so fast, it seems that yesterday is just Christmas then there comes the new year but today we will bid goodbye to the first month of 2014. And that also shows how terrible I become in updating this blog because this is just my second post for this year! And since today is a holiday, not to mention it's also a long weekend (yay again! ), I found some time to do the things I needed to do aside from my primary and secondary work. (Yes, I do have 2 jobs that occupies all my time for blogging.) 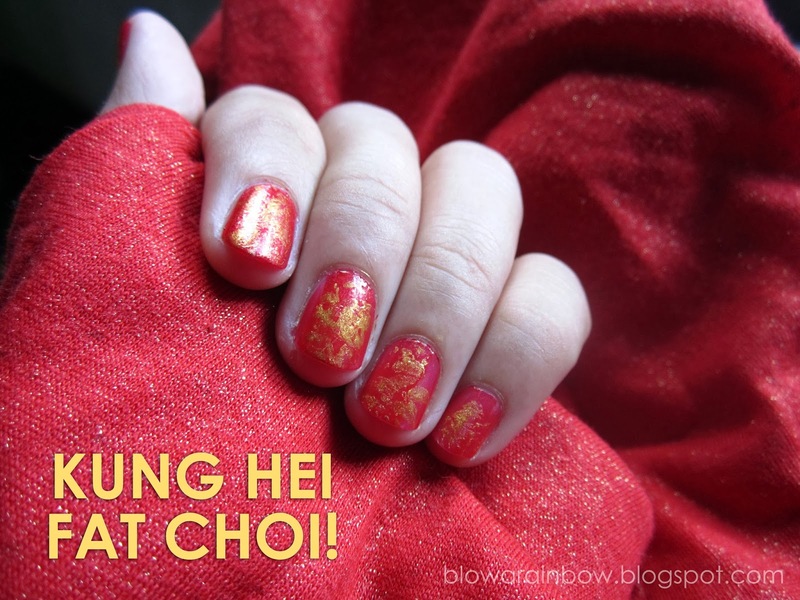 Anyhow, today's post is a relative one since I became inspired to paint my nails red and turn it into simple nail art design inspired by the Chinese New Year. 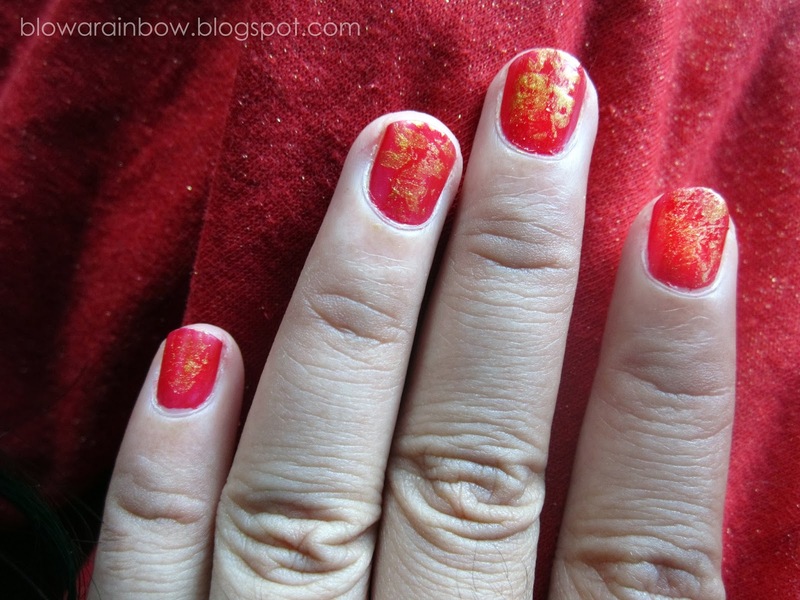 I used the traditional red and gold combination that symbolizes fortune according to some Chinese beliefs. It just took me a minute or two to finish my both hands but looking at the end product doesn't even depict that this is a less than 5-minute nail art! Maybe because the combination of red and gold just looks so perfect? I simply paint my nails with 2 coats of red then let it dry for 30 seconds. Then I pour small amount of gold nail polish in a flat surface, grab a tiny chunk of plastic wrap and crumple it to form a small ball, dab it to the gold color then dab it over the nails I just painted with red. Kung Hei Fat Choi and Gong Xi Fa Cai to all my Filipino-Chinese friends! Happy Chinese New Year! Hope you're having a great one in the Philippines! Win a one-of-a-kind flower crown from CrownedByFlowers by entering my international giveaway! What a cute idea!! Love it!! Great Blog!! 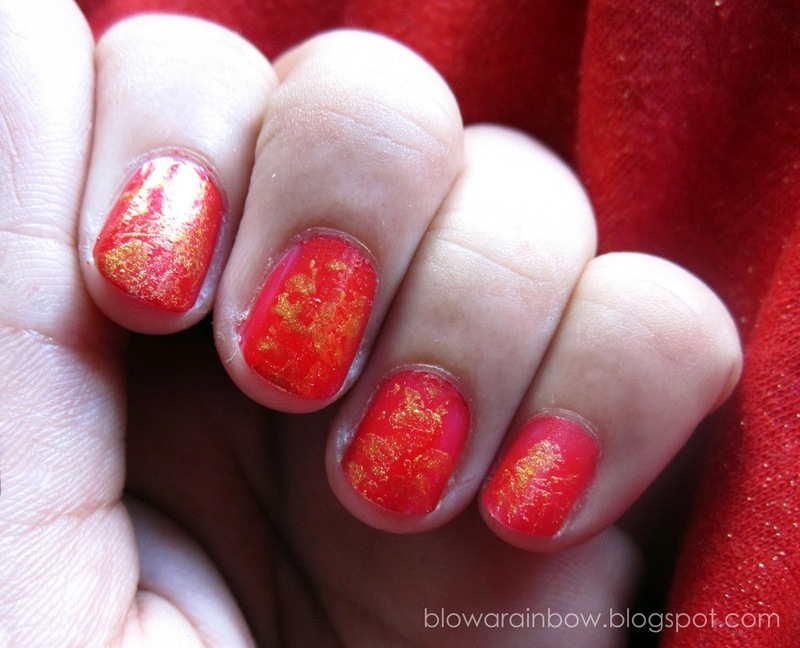 Stunning nails that are perfect for Chinese New Year! I’d love for us to keep in touch via bloglovin’, GFC, or Instagram! Let me know on my blog, I’ll be sure to follow back!